These presentation slides 40448 are complete compatible with Google Slides. Simple download PPTX and open the template in Google Slides. 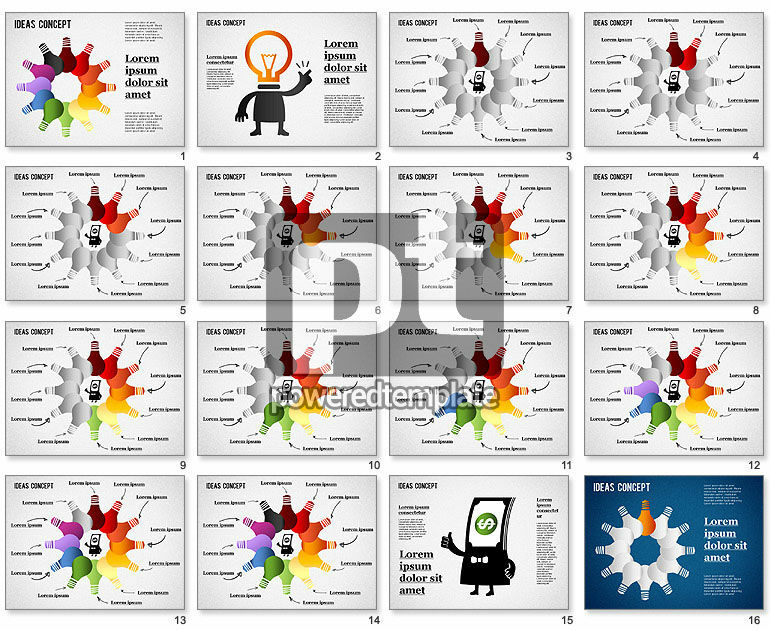 Enjoy this adorable Ideation Stages diagram created in a cool style for various presentations dedicated to business ideas, efforts, ethics, planning, economics, startups, profit growth or time management. There are many cute light bulbs in the rainbow palette. This extraordinary sample is perfect for many fields of business, media, education, sociology, education and others. Get ready to shine!